How to determine Lync Server version ? Below we present few methods to do this. 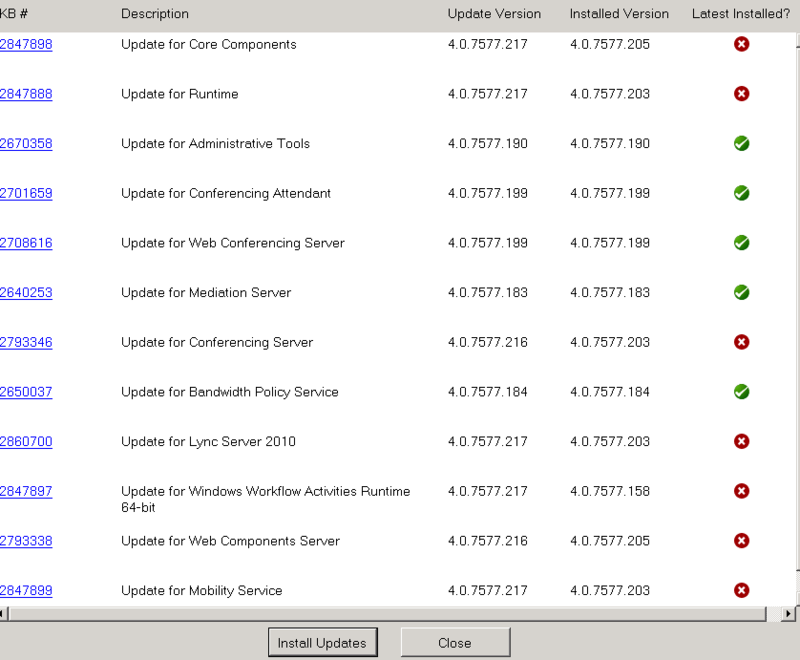 Microsoft releases updates to Lync components periodically and only updates the version level of the components that actually get the update. 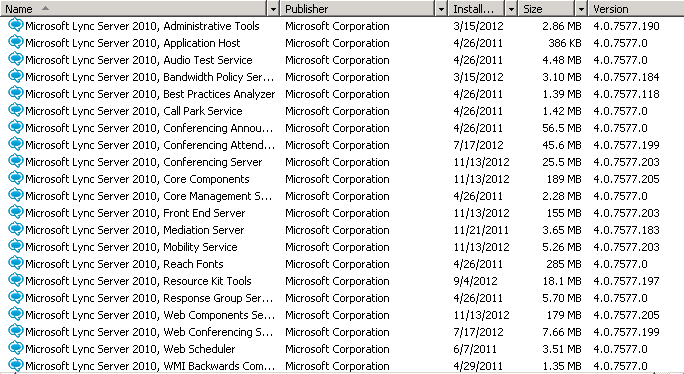 So Microsoft released tool which will help you to keep the Lync Server components at the latest versions. If you download and run the LyncServerUpdateInstaller.exe, this will check your Lync server and install the updated components that are needed. But remember to download this tool periodically with the latest version of the installer. 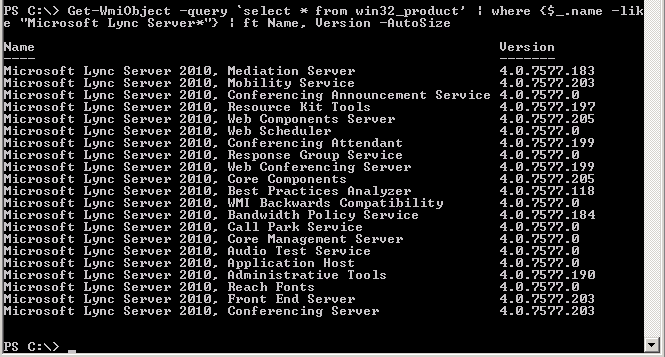 Another method is to use Lync Server Management Shell. You will get Lync Server build number. Next method is good for lazy or busy admins, because it allow you to check version remotely. Kolejnym i zarazem ostatnim z prezentowanych sposobów jest uruchomienie narzędzia LyncServerUpdateInstaller.exe które możemy pobrać wraz z CU przeznaczonym dla Microsoft Lync Server. Dzięki temu narzędziu dowiemy się jakie wersje poszczególnych komponentów serwera Lync mamy zainstalowane i jakie są najnowsze. Tagged build number, Lync 2010, Lync 2013, Lync build. Bookmark the permalink.